Looking for an easy World Book Day costume for your child? 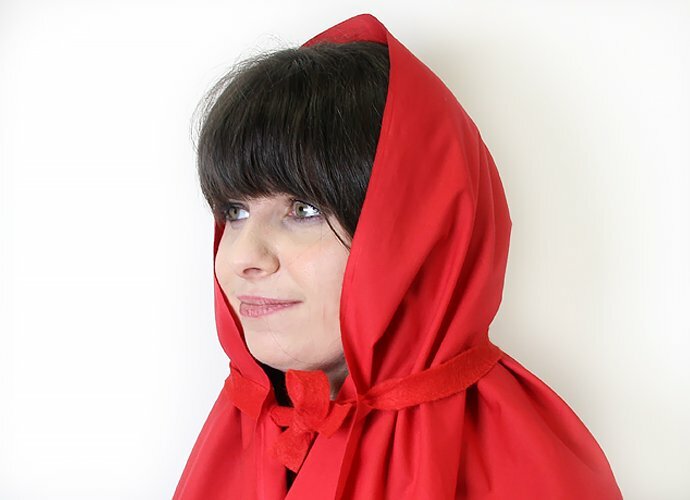 Then look no further because today we’re going to show you how to make this super easy DIY Little Red Riding Hood cape – with absolutely no sewing at all! And not only is it quick and easy to make when you’re pushed for time, it’s also a really cheap costume to make on a budget. Read on for our full step-by-step instructions and if you really don’t have time to make a homemade costume this year, check out our World Book Day costumes. 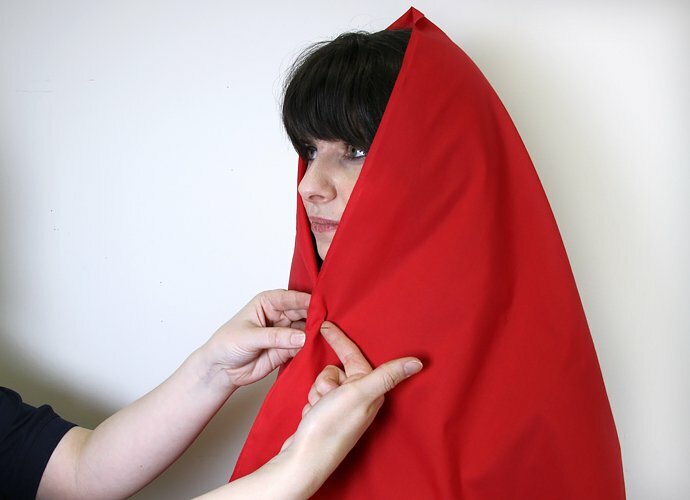 The first step of making your no-sew Little Red Riding Hood cape is to cut your material to size. For an adult costume you’ll need a 1.5m x 1.5m piece but for a child it’ll only need to be 1m x 1m. 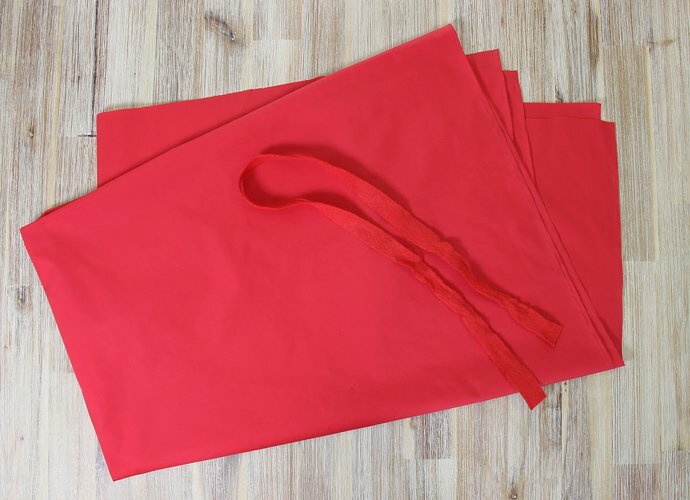 We’d recommend using a red sheet that you can pick up relatively cheaply from a market (usually only a couple of pounds). 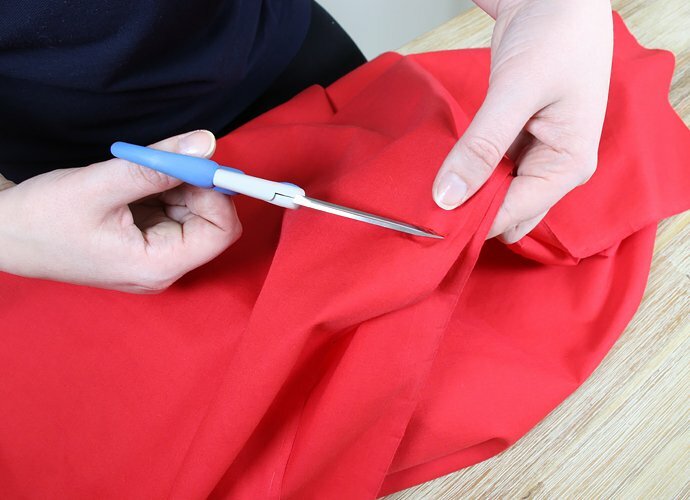 You’ll also need to use a tiny portion of your red sheet to cut a long, thin piece of material that will be used to tie your cape. The next stage of making this easy DIY costume is to measure the size of your hood. If you’re making this costume for yourself, you’ll need someone to help you but if you’re making it for your child, just use whoever’s going to be wearing it as the model. Put the hood over their head and loosely pinch it together at the bottom – this is where you’ll insert the hood tie. Before you let go, make a mark where you’re holding the material so you don’t forget where to cut. Next, take your scissors and cut two small slots either side of the hood (where you made a mark in step 2). Once you’ve done that, your DIY World Book Day costume is almost finished! Finally, thread your long thin piece of material through the slots at the bottom of the hood, put the cape back on your model and tie the strip of material to make a bow. 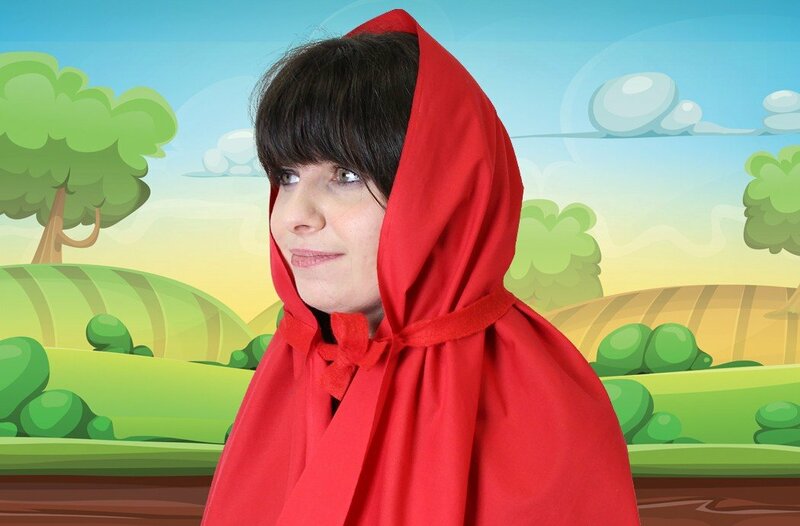 And voilà, your DIY Little Red Riding Hood cape is finished – with absolutely no sewing at all!!! 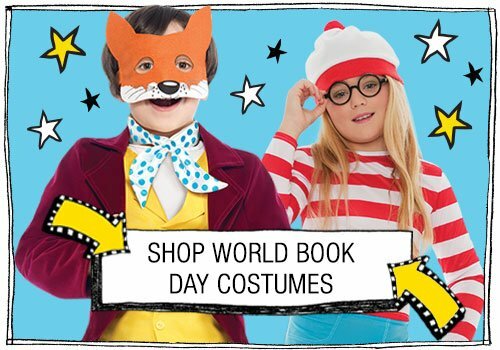 It doesn’t get much easier than this no-sew World Book Day costume but if you’re really pushed for time, head over to Party Delights for our full range of World Book Day costumes.